Whether you’re looking for steak, seafood, lamb, desserts, wine, or something else, Omaha has something for every meat & food lover. Omaha Steaks was one of the first online stores to specialize in bringing quality, USDA-inspected meats that have been vacuum sealed and grain-fed for maximum freshness and taste. Today their business has exploded and they are not just the “meat guys” but also the ideal place to go for gift baskets and boxes that are packed full of steak knife ready foods. 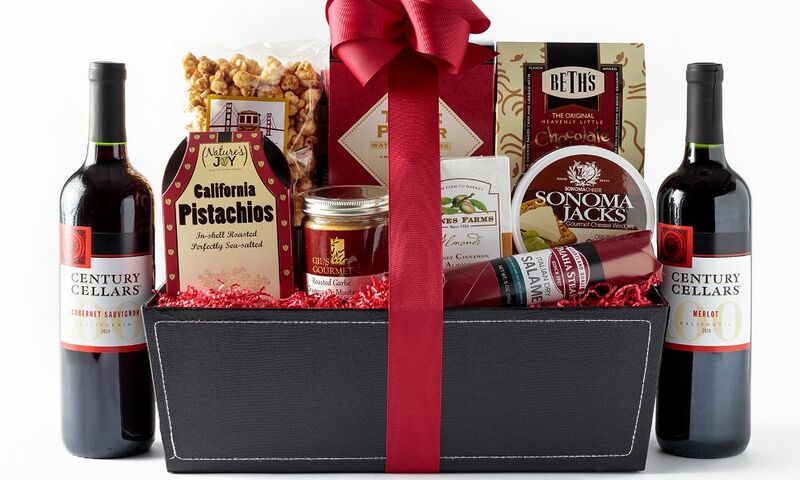 Gift baskets inspired by the best cuts of meat and gourmet food. There is something to be said about a company willing to throw in raw meat – and we love it. Omaha Steaks offers up gift baskets that include meats (bacon-wrapped top sirloins to be precise). But, it isn’t just the meat that sets them apart; it is also their wines, fine cheeses and excellent selection of snacks. You will not find fruits in Omaha Steaks baskets, but we aren’t holding that against them. They are meat guys – plain and simple. They offer everything you would expect to go along with meat including picnic baskets, red and white wines, cheese spreads, crackers, chocolate and more. 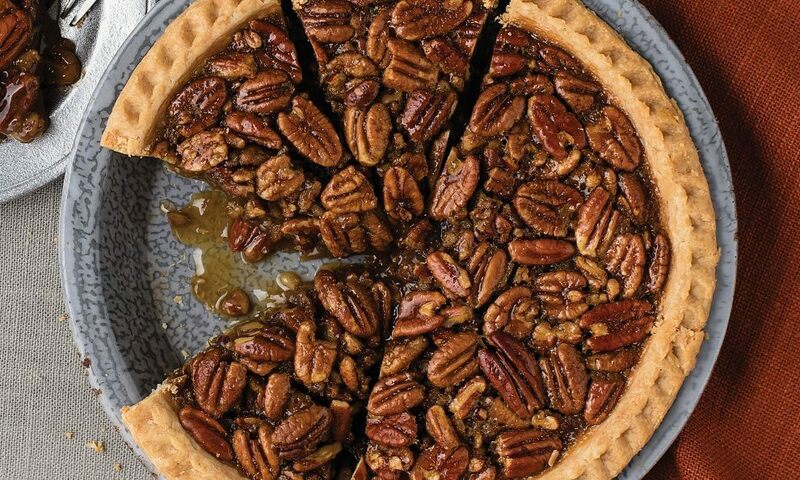 They do not have any non-edible baskets, but that is because Omaha Steaks literally dabbles in the edibles for the gourmand. Yes, you can add on to your basket with Omaha Steaks. In fact, they offer fun suggestions outside of the realm of balloons and teddy bears. For baskets focused on wine, they recommend adding a corkscrew and even offer up wine pairs that match the feast in your basket. You cannot design your own basket, but that is because most of these items are not sold separately on Omaha Steaks website. You can substitute items, but you will need to call customer service to do so. Themes and sentiments are different with Omaha Steaks and it isn’t a bad thing. Instead of the usual “happy birthday” and “congratulations,” they offer gourmet baskets you can use in any theme you would like. Some to choose from include their picnic baskets, wine tour baskets (complete with cheese and snack accompaniments for the wines), dinner party baskets and more. They are so luscious and unique that you might not have an issue with them not being theme-centric. They do not offer Kosher, gluten-free, organic, or sugar-free items and because they specialize in steak, you will not find vegan items either. Though this is a bonus, we do not necessarily hold it against them, simply because they stick to their brand and that doesn’t leave much room for sugar-free and vegan products. They do have holiday-themed baskets and depending on the time of the year you purchase your basket, you will notice most of them are wrapped for that nearing holiday. 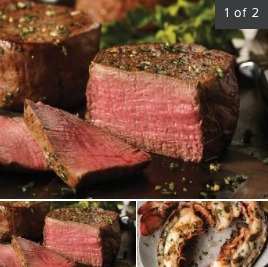 Omaha Steaks is big on corporate gift giving. They even give companies an opportunity to offer their products as a business incentive. The baskets and boxes can be customized for employees, anniversaries, customer appreciation, events, charity, holiday business and “thank you” gifts as well. With Omaha Steaks, corporate buyers can get exclusive gift cards and certificates, volume discounts and even sign up for customized gifting programs based on their corporate gifting budget. Bulk shipments are available and as with consumer purchases, all baskets ship for free. They also have a corporate gift expert available toll-free just for business buyers. You will notice that prices with Omaha Steaks gift baskets are much higher. In fact, they don’t have any baskets under $50 – but they also are one of the few to skip the sample size and only offer full-sized food products and bottles of wine. Majority of their baskets average around $100. But, they offer free shipping. So, when you compare their average price to other vendors and include the cost of shipping, you will quickly see Omaha Steaks isn’t that expensive after all. All shipping is free for standard delivery on gift baskets and boxes. If you want express shipping, you will add $19.99, rush shipping is an additional $39.99 and Saturday rush is $49.99. Gift baskets and boxes typically arrive seven to 10 days after ordering, but you will see an estimate while entering your zip code at checkout. Because the products are highly perishable, they do not ship to APO/FPO or PO boxes. They cannot ship internationally due to export laws and the fact they are shipping raw meats and cheeses. For gifts, signature wrapping is used as well as special greeting cards. At checkout you can add on these items if you are giving the basket to someone else. They are one of the few to offer gift wrapping for all baskets and boxes. Online you get a detailed description of what is in each basket or box and you can see the item before you buy it. All products sold by Omaha Steaks come with a 100 percent satisfaction guarantee. If you are ever not satisfied, they will replace or refund the item without issue. They have an unconditional guarantee and a reputation for holding true to their return policy. Omaha Steaks does have a dedicated FAQs section and plenty of information on their website – in fact, there is little you cannot find on there. They also are reachable via email, online contact form and their toll-free customer service line. They don’t have a live chat feature at this time, which would be nice considering the volume of orders they take. If you want to be truly impressed, take note that Omaha Steaks has been accredited since 1967! They are the longest standing merchant in this category and they still carry to this day an A+ rating. They are quick to respond to customer issues and all complaints filed with them have been quickly closed because they do value their reputation and service. All gift baskets and boxes ship for free. Under $50 – There are no baskets under $50. $50 to $100 – Baskets start around $70. They include bakery crackers, nuts, dried fruits, steak slates, charcuterie, mustards and spreads, wines, corkscrews, chocolates, and even full-sized bottles of wine. $100 to $200 – Some of the best selections are found in this price point. These boxes and baskets can include up to three bottles of wine, multiple varieties of charcuterie, spreads, corkscrews, slates, dried fruits, snacks and even bacon-wrapped top sirloins. $200 and up – There are no baskets at this price point. 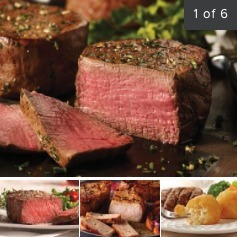 Omaha Steaks is ideal for just about any type of buyer – from personal to corporate. Their selection of true gourmet food items and steaks make them a more luxurious option as well – so for those that want to truly impress, this may be the place to go shopping. We like that Omaha Steaks stays true to their brand: meat. They offer gourmet meat products, wine pairings and cheeses – perfect for a BBQ or even a picnic. Their baskets are the epitome of gourmet – including things like charcuterie and unique spreads. We truly appreciate the effort they put into thinking up these baskets. We also appreciate their free shipping on all of their baskets and the fact that they don’t have any over $200 – making them much more affordable than you may realize. There isn’t much we can complain about here. The only thing we can is that they don’t have sentiment or theme-specific baskets, but that could be the thing that sets them apart and makes them unique too. 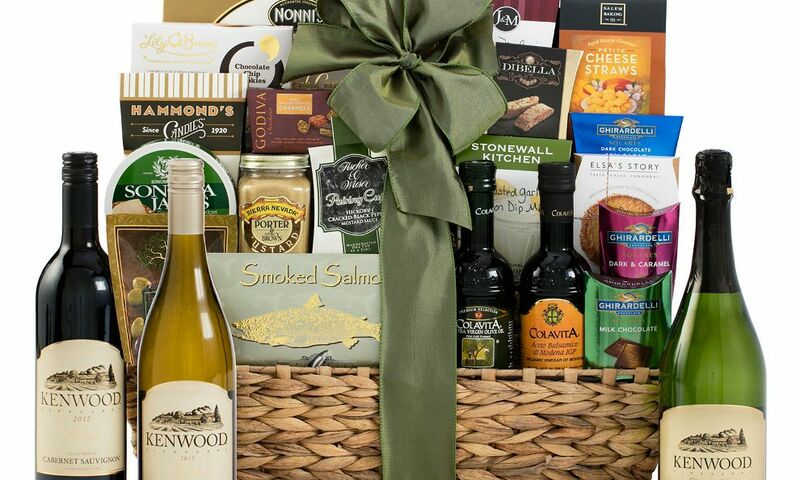 Gourmet baskets and free shipping. For the ultimate gourmet gift basket experience, skip the generic and try the gourmand-ready varieties from Omaha Steaks. Featuring steaks, cheeses and wines along with corkscrews and steak slates. Under $50 - There are no baskets under $50. $50 to $100 - Baskets start around $70. They include bakery crackers, nuts, dried fruits, steak slates, charcuterie, mustards and spreads, wines, corkscrews, chocolates, and even full-sized bottles of wine. $100 to $200 - Some of the best selections are found in this price point. These boxes and baskets can include up to three bottles of wine, multiple varieties of charcuterie, spreads, corkscrews, slates, dried fruits, snacks and even bacon-wrapped top sirloins. $200 and up - There are no baskets at this price point.